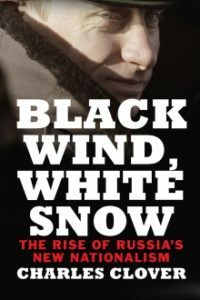 Given recent Western political developments—“Brexit,” Trump’s U.S. electoral victory, the rise of populist movements across Europe—coupled with a resurgent Russia and its alleged interference in U.S. Presidential elections and support of far-right parties across Europe, Charles Clover’s Black Wind, White Snow: The Rise of Russia’s New Nationalism is a timely and excellent analysis of the origins and underlying tenets of Russian nationalism and its role in Russian foreign policy and national security strategy, including implications for ongoing Russian influence operations directed against the West. 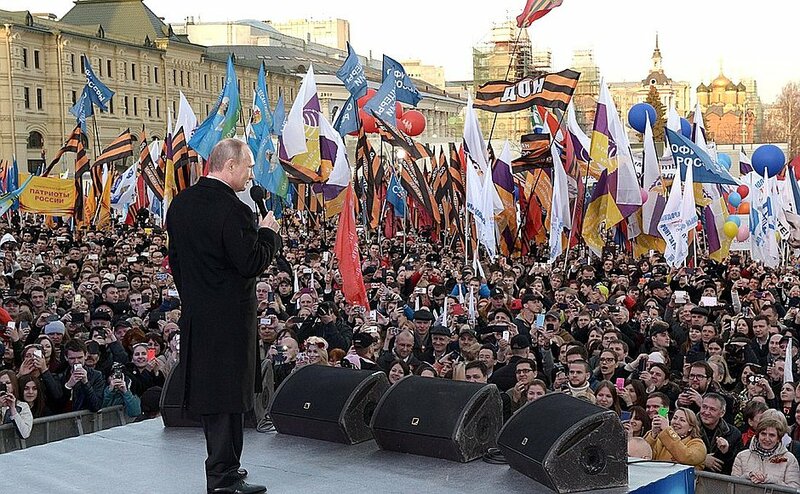 What is Russia’s new nationalism and what are its origins? In answering these questions, Clover organizes his book into three main parts: a) an overview of White Russian exiles, disempowered by the Bolshevik Revolution, who became disillusioned with Europe during and after World War One (WW1); b) Lev Gumilev and others who were imprisoned in the Siberian Gulag during the Stalin era and who rose to prominence during the latter years of the USSR; and c) Alexander Dugin and his cohorts who emerged during the collapse of the USSR and have steadily risen in influence among military officials and siloviki in modern day Russia. These parts tell the story of the rise of individuals and groups who have played a fundamental role in developing the foundations of modern day Russian nationalism. The White Russian exiles, after seeing the deleterious impact of WW1 on Europeans, began to question the so-called Western values of “progress” and “enlightenment” and therefore distance themselves from the West. They soon after sought to (re-)discover their own historical roots, separate from the West, and came to believe they were descendants of Mongols and Central Asians rather than Europeans. Gumilev, the son of two famous 20th century Soviet-era poets—Anna Akhmatova and Nikolay Gumilev—and a former prisoner for 14 years in Siberia, where he became obsessed with the Central Asian steppe tribes, achieved some fame during the perestroika era of the late USSR which helped to advance his ideas (see below) into the mainstream. Despite being imprisoned in the Gulag and under harsh conditions for so many years, he emerged as a true patriot and defender of Russia. Dugin, who gained notoriety with the publication of The Foundations of Geopolitics (1997), eventually grew in stature among hardliners, especially in Russian military and security circles. His work promotes the idea that the Cold War wasn’t really an ideological clash between communism and capitalism. Rather, it was just another period in the “permanent conflict between two geographical realities—the world’s greatest land power of Eurasia and its natural opponent of Atlantic sea power, represented first by Britain and then by the United States.” Dugin goes on to claim that, according to Clover, the U.S.’ greatest threat isn’t radical Islam or China, but rather Russia. Why are these concepts important to understanding contemporary Russia? What are the implications, especially for Russian foreign and security policies? First, Clover’s work helps to explain the evolution of an illiberal, conservative, nationalistic Russia whose values run counter to the “decadent” and “immoral” West. Indeed, these concepts appear to have seeped into the thinking of Putin and his inner circle as evidenced by Putin using the same language as Dugin during different public events, saying that “Western values are different,” and that Russia is unique and with superior values and culture as compared to the West. Furthermore, Russia has increasingly emphasised the importance of conservative values to its policies and views itself as an alternative, non-Western geopolitical centre in the world. Second, as Clover describes, these concepts underlie a new ideology for Russians to coalesce around. A rallying point is particularly important for Russia today given the impact of Western sanctions after Russia’s intervention in Ukraine and Russia’s generally negative global image. Such an ideology also supports the Russian narrative of being besieged and encircled by the West given EU and NATO expansion to Russia’s borders and the widely-held Russian belief that the U.S. was behind the “color revolutions” in Ukraine, other former Soviet states, and the “Arab Spring,” and would like to see a similar revolution in Russia. Fourth, Dugin has emerged as an influential figure, if not directly with Putin then at least with some of his inner circle. In addition to his Foundations being mandatory reading at the General Staff Academy and other military academy universities, and influential with siloviki, several of his predictions regarding Ukraine came true. Furthermore, Clover describes Dugin’s influence on the Russian General Staff with regard to asymmetric warfare, how his Foundations book was read by Nikolai Patrushev, the head of Russia’s National Security Council, and his links to Putin’s network. Additionally, Dugin apparently helped to finance Russian-backed separatists in Ukraine and had publicly advocated for Putin to send Russian troops into Ukraine. Fifth, the spread of far-right political parties and movements in the U.S., France, Austria, Poland, Hungary, and elsewhere, offer a single and potentially uniting vision, even if other countries fall outside of Eurasia’s “borders,” centered around illiberal, conservative, and nationalistic values. With upcoming elections in France, Germany, and Holland, and known Russian support for far-right parties in some of these places, further opportunities exist for Russia to spread its values across Europe in an attempt to undermine Western support for the sanctions regime against Russia and more importantly, drive a wedge amongst Western nations on the future viability of the EU and NATO. Dugin himself, according to Clover, has also gained influence on Europe’s far right. While an excellent read overall, some of Clover’s points insufficiently address the importance of Russian policy toward its compatriots (i.e., the approximately 35 million ethnic Russians and Russian speakers who live outside Russia’s national borders) or the country’s potential for strategic overreach. For instance, Clover avers that Russia has “drawn a red line around its former imperial subjects—a sphere of influence” but that some states (e.g., Ukraine, Georgia) within this sphere appear to be more important to Russia than others (e.g., Baltics). However, just because Russia countered NATO or EU expansion to Georgia and Ukraine but didn’t overtly thwart attempts to stop the Baltics from entering NATO in 2004 doesn’t necessarily mean that these Baltic states are less strategically important to Russia. 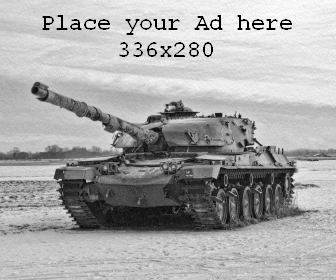 In fact, fears abound of a possible Russian military incursion in the Baltics. Moreover, maybe Russia would have intervened more overtly in 2004 if it had the military and asymmetric might back then that it now possesses? Clover doesn’t adequately explain why Russia intervened in Georgia, where it has such an insignificant ethnic Russian minority, compared with the Baltic states of Estonia and Latvia with large ethnic Russian populations. It would appear that, rather than Georgia being a higher strategic priority than the Baltics, the most likely explanation for Russia’s actions in Georgia were to counter NATO expansion and respond to Georgia’s firing the first shots. Finally, Clover argues that those analyses that claim Putin is merely a tactician who operates without any strategy or ideology ignore the “great deal of thought and calculation into Russia’s moves in the near abroad.” While an interesting argument, especially in light of Russia’s alleged interference in the U.S. Presidential elections and ongoing influence operations directed against the West and other former Soviet states (e.g., the Baltics), in the case of Ukraine at least, Putin appears to have underestimated the Western response (i.e., the severity and breadth of the economic sanctions and the length of time they’ve held together) and the resilience of the post-Maidan Kyiv government to advance reforms despite significant challenges. In conclusion, Clover offers a well-researched and timely assessment of the rise of contemporary Russian nationalism. Given Russia’s intervention in Ukraine, alleged interference in the U.S. Presidential elections, support to far-right groups across Europe, and fears of an incursion into the Baltics, Clover offers important insights into the factors that contribute to contemporary Russian foreign policy and national security strategy. The book can be found here at Yale University Press. Examples of these predictions include: 1) his 2009 map of “NovoRossiya” which included the parts of Eastern Ukraine, post-2014, that the Russian-backed separatists and even Putin himself referred to while using the same term; 2) that the so-called Donetsk and Luhansk People’s Republics (DNR/LNR) would declare “independence;” 3) the correct DNR flag; and 4) that Russia would deploy ground troops into Ukraine (pp.12-13). Clover points out how Dugin’s writings have been widely read by the ultra-right in Europe (p. 284) and has met with France’s National Front leader Marine Le Pen and other far-right activists/politicians from Austria, Bulgaria, Croatia, Spain, and Switzerland (p. 328). According to the CIA World Factbook, ethnic Russians, grouped with other minorities, comprise less 2.3% of the population, and Russian speakers only comprise about 1.2% of the population (https://www.cia.gov/library/publications/the-world-factbook/geos/gg.html). According to the CIA World Factbook, ethnic Russians comprise approximately 25% of the population in Estonia (https://www.cia.gov/library/publications/the-world-factbook/geos/en.html) and 26% of the population in Latvia (https://www.cia.gov/library/publications/the-world-factbook/geos/lg.html).